Many, freshly squeezed juices are more popular with people because of their nutrition, and the taste is also very good. When more and more consumers choose juice, people already have a certain understanding of the market. 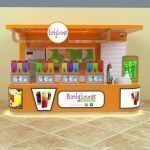 When they buy drinks, they will unconsciously choose some brands, so the first thing to consider when opening a juice & smoothies kiosk is to join the brand. 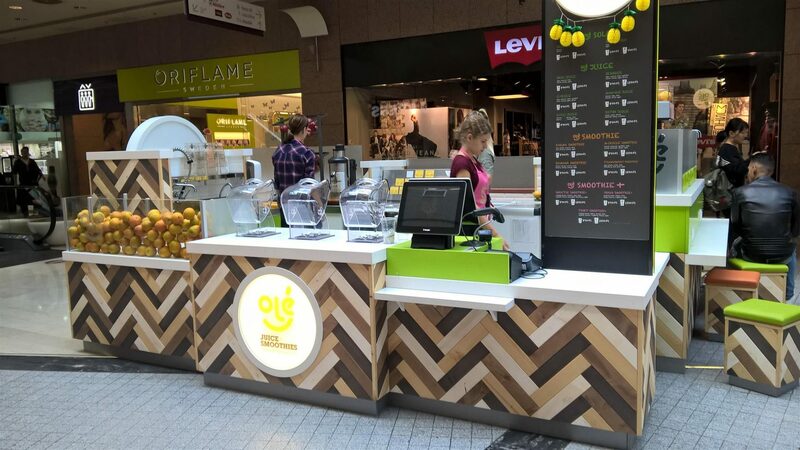 Healthy and fashionable juice drinks are easy to make, with less investment, high profits, and all the franchise stores are instructed, and you can start your own business soon. It is convenient and simple to open a juice shop. You can get a few squares of small shops, and you don’t need too many people. You can quickly recover the cost and earn more profits. 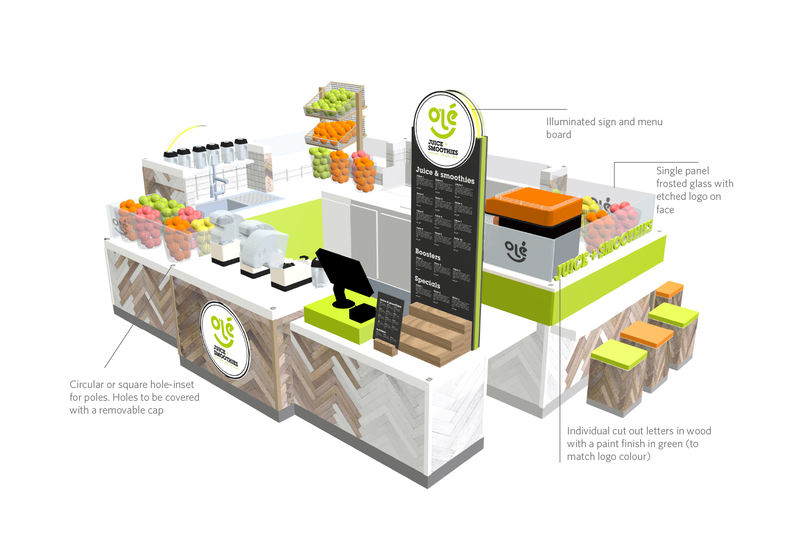 Please see the above juice & smoothies kiosk design, which is very beautiful and useful. 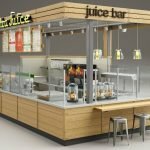 The juice kiosk design with wooden color and green color. Countertop uses white man-made stone, glass use frosted glass. It has some seats for customers to have a rest and dining. 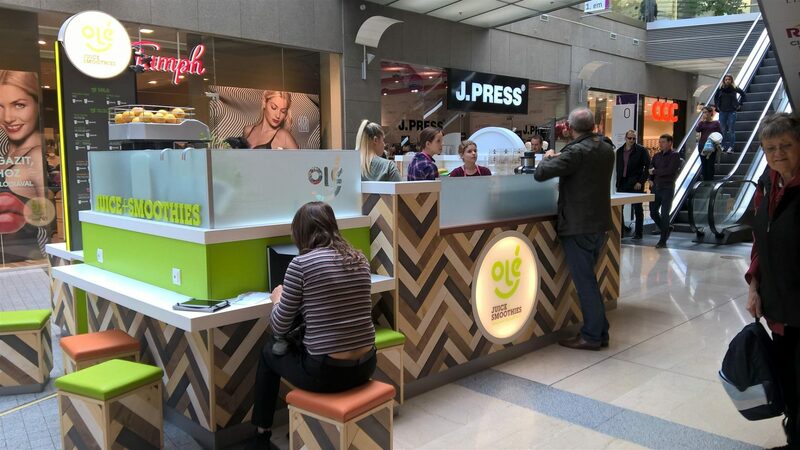 If you also want to start the juice business in the shopping mall, please feel free to contact us. 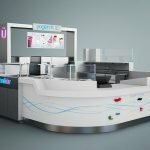 Unique Furniture Ltd is a customize manufacturer in the juice & smoothies kiosk for more many years. 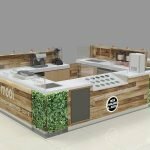 For the design, we need to charge 300 USD for the design deposit, but it will return to you when you order a kiosk from our company. So actually the design is for free to you. Welcome to inquiry!!! Thanks for your time to read.